Suburbianity. Is that even a word? I didn’t find it in any dictionary. But it is the title of our book of the month for June. 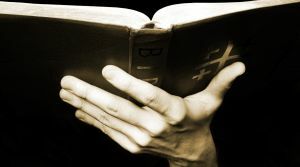 Written by Byron Forrest Yawn, a pastor in Nashville, he is attempting to communicate to Bible-believing Christians that we are in danger of losing the gospel message by continuing to look at the Bible as a spiritual handbook or a guide for moral living. From beginning to end, the Bible is about Jesus and salvation through Him. Sounds obvious, doesn’t it? But so many churches, including evangelical, Bible-teaching churches are missing the point in their ministry of God’s Word. Instead of seeing Jesus in the Old Testament stories that we know so well, they instead see lessons by which we can shape our lives. Yawn challenges you to start looking for Jesus in stories like David and Goliath, Daniel in the Lion’s Den, and other favorites. It’s not about being brave and courageous against impossible odds. It’s about finding Jesus Christ as the answer to our sin problem. This is the message that he wants us to get. In the first part of the book, Yawn establishes the problem and makes clear that the gospel is being missed in many churches. He was informed of this problem by a visitor to his church who commented, “I can’t believe you preached for forty-five minutes and never mentioned the gospel.” After coming down from his defensive posture, Yawn realized that the visitor was right. It changed his ministry. And the same thing happens not just from the pulpit, but throughout the church’s ministries among children, youth, and adults. People should leave church in awe of what Christ has done. Instead, in many churches they leave with a message they could have received in many other places that are not even remotely connected to the gospel. Yawn gives some interesting examples of messages we might see in many churches today, but are actually descriptions of different new age seminars. His point: the gospel and the Word of God is not about giving you purpose, fulfilling your potential, and making you happy. It’s about what great things God has done for us through Jesus Christ. That’s what we should be hearing every week. In the second part of the book, Yawn looks at the Bible. First, he talks about the constant searching of a moral for the stories we find in the Bible. Whether it be the story of Gideon finding God’s will through a fleece, or friends dropping a paralytic through a roof to be healed by Jesus, we should be looking for the gospel, not a moral. He provides extended examples of what Bible teachers do in sermons, books, and Sunday School lessons with David and Goliath and Joseph. They miss the gospel to teach a moral about bravery or spiritual strength. David and Joseph are sinners, not examples. So he challenges us to read the Bible all over again, but this time look for Jesus. The final part of the book deals with the Church, which Yawn calls God’s strategy for evangelism. God uses the church to proclaim the gospel. So we better not miss the opportunity to do what God wants. Everyone needs the gospel message. In fact, he has an interesting way to look at the need for church planting and evangelism in the United States based upon his assessment: there are not enough churches who are centered on the gospel. We need more of them. Yes, there are unreached multitudes throughout the world, but they also live in our cities and in our neighborhoods. Everyone needs to hear the gospel. This is a message that deserves to be heard. I recommend that you get this book, read it, then get back into your Bible and find Jesus Christ your Savior everywhere in it! Book Review – This Changes Everything!